The company has managed to deliver an increase in EPS of 3.50% per year since 2002. 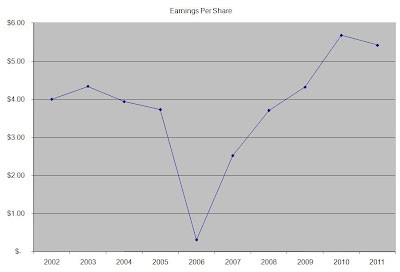 Analysts expect Universal to earn $4.25 per share in 2012 and $4.50 per share in 2012. 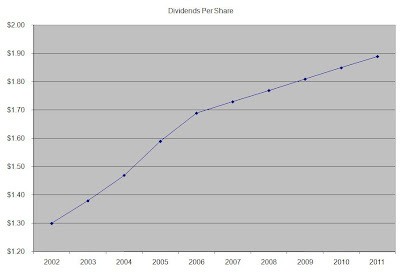 In comparison Universal earned $5.42 /share in 2011. 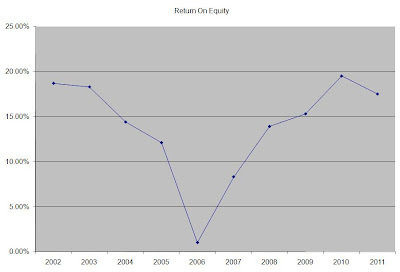 The company has managed to consistently repurchase 0.70% of its common stock outstanding over the past decade through share buybacks. Currently Universal is trading at 6.80 times earnings, yields 5.10% and has a sustainable dividend payout. This value stock currently fits my entry criteria. 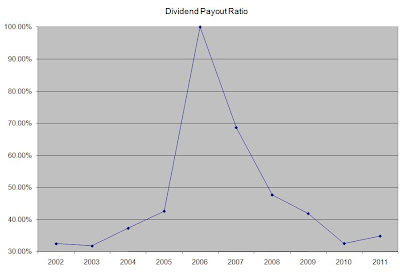 While I find the dividend to be well covered, future dividend growth will be constrained by the lack of visibility concerning the company’s future earnings prospects.